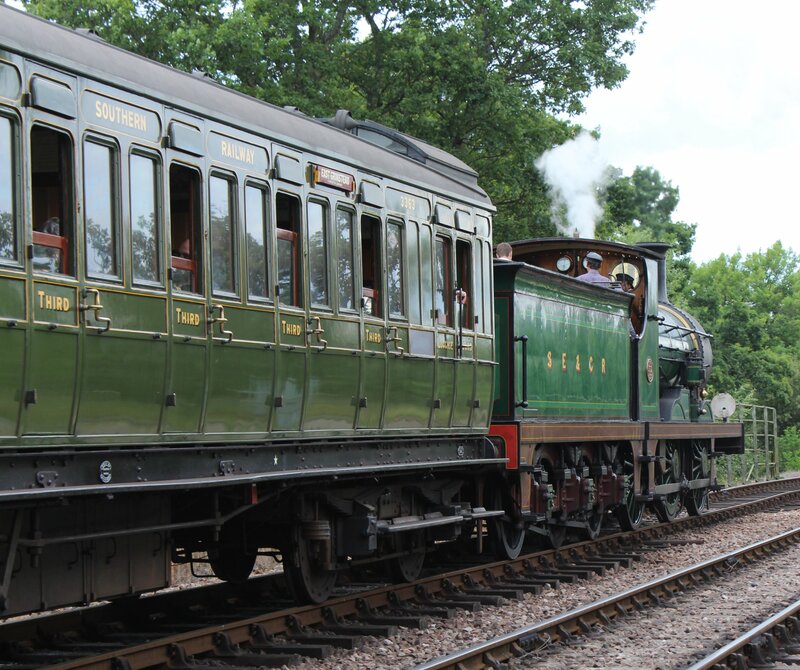 The Bluebell Railway not only has an incredible collection of locomotives, but has a fleet of historic carriages that is also quite exceptional. 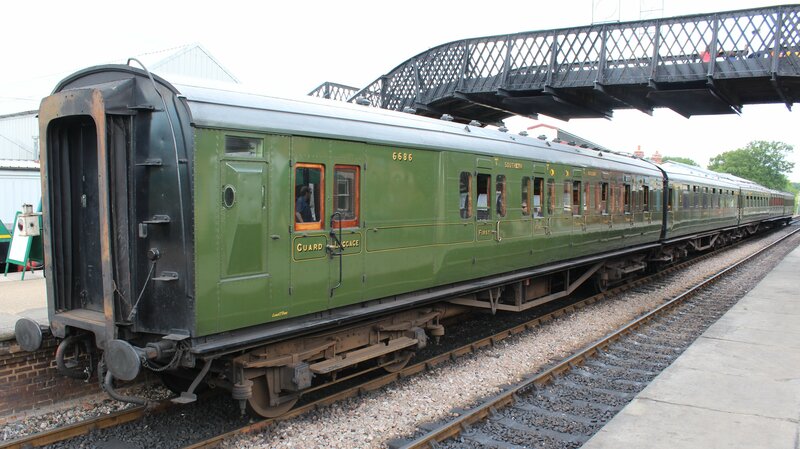 Around 70 carriages make up a collection of vehicles that range from the Victorian era through to British Railways mark one’s of the 1950/60s. Tonight’s blog post looks at some of this historic collection in no particular order with a combination of pictures taken from various visits to the Bluebell Line, including my latest (please click here to read). We begin with London and South Western Railway 1520 Lavatory Brake 3rd painted in bitter chocolate and salmon pink livery. This carriage is quite simply beautiful! It is over a hundred years, being built in 1910 at Eastleigh works. 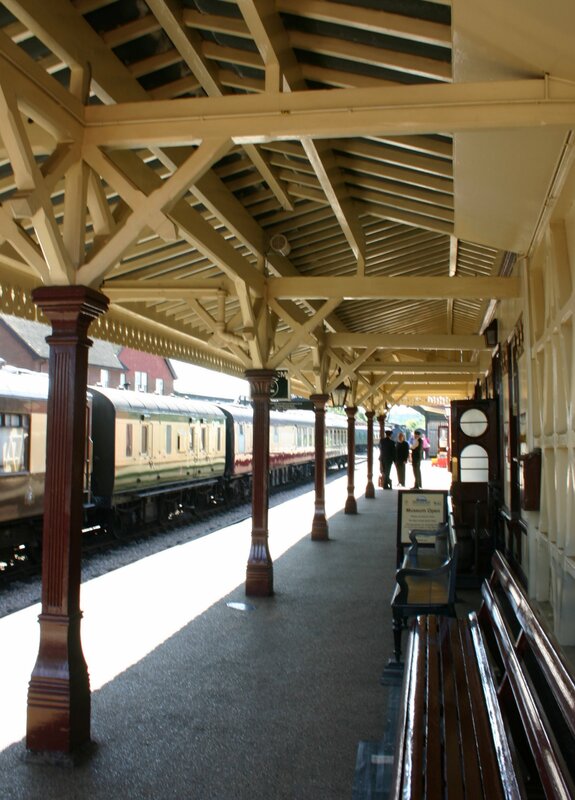 Our next carriage is Bulleid carriage coach 1464 TO Open Third built in 1950. 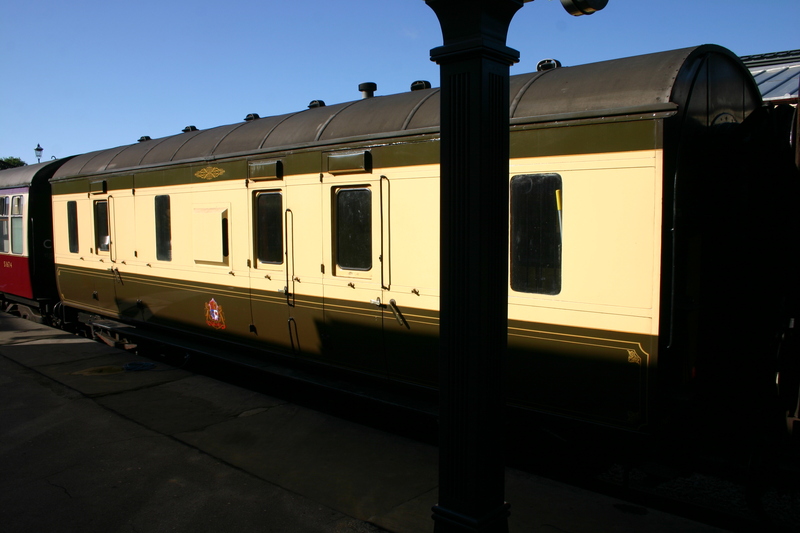 Bulleid carriages can be distinguished by the characteristic door top lights. 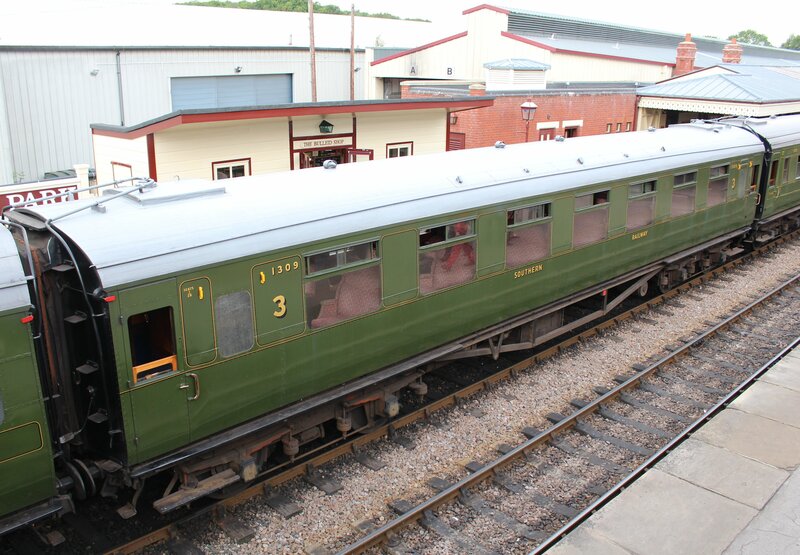 Bulleid carriages were usually formed into sets, but this example spent it’s working life as loose carriage to lengthen trains or be used on special services. Next we have examples of Maunsell’s carriages. Above is 6686 BCK Corridor Composite Brake (note the flat side of the guards/luggage section) and below is 1309 TO Open Third (note the airstream ventilators). 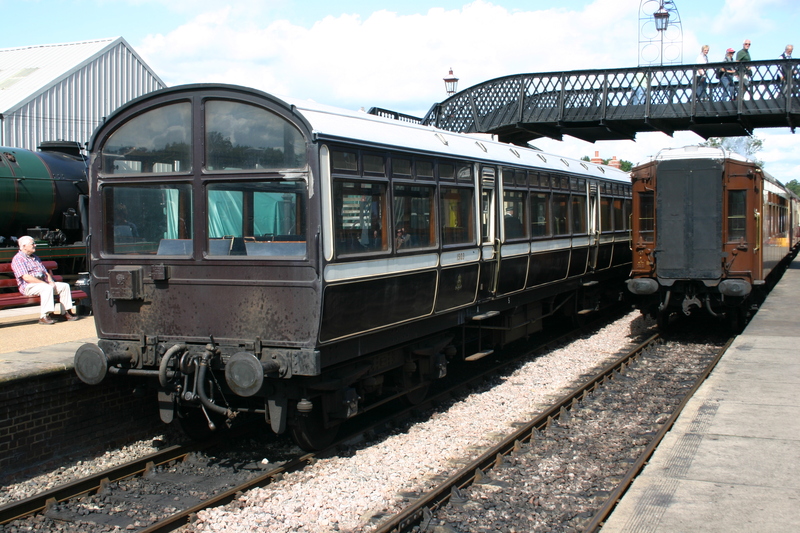 As with Bulleid’s rolling stock that proceeded them, Maunsell’s stock were usually formed into sets. Here we have some luxurious carriages! 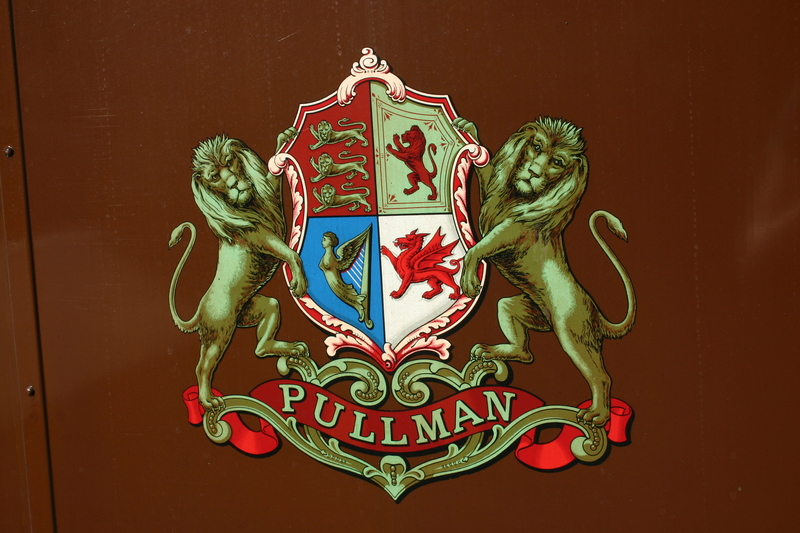 Above is Pullman car Kitchen Parlour Fingall, built in 1924. 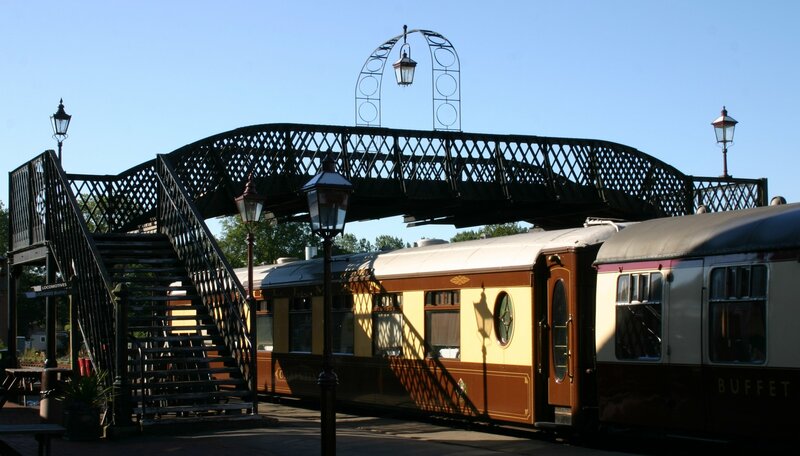 This carriage served on the Devon Belle (click here for more) and the Golden Arrow (click here for more) expresses. Next we have Pullman Parlour Third Lilian (above). 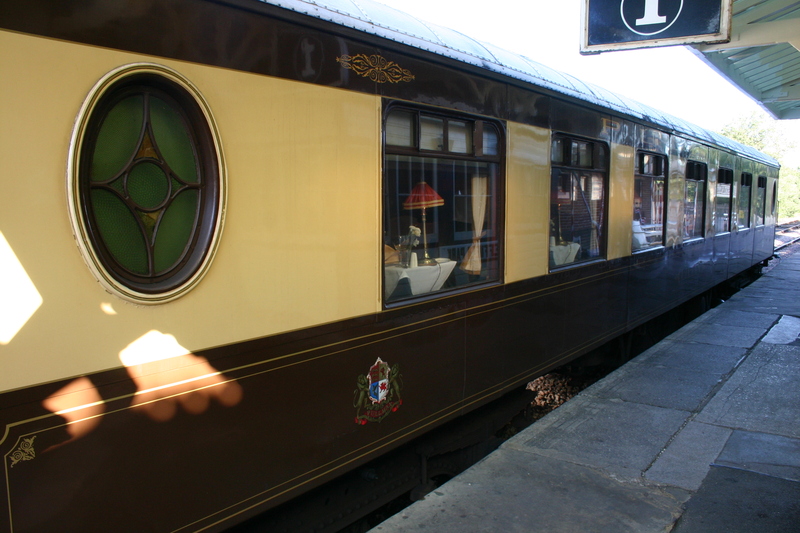 This Pullman served on London to Harwich boat trains before being used on the Bournemouth Belle. 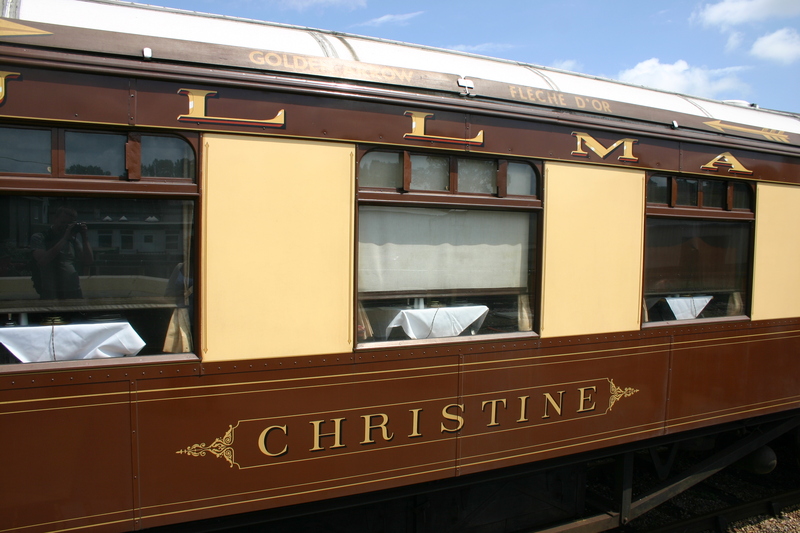 Finally we see Pullman Car Christine, a 3rd class Parlour Car (formally no 64). Our next carriage is seen above and below with SECR C class 592 – South Eastern and Chatham Railway Birdcage Composite Brake 1084. 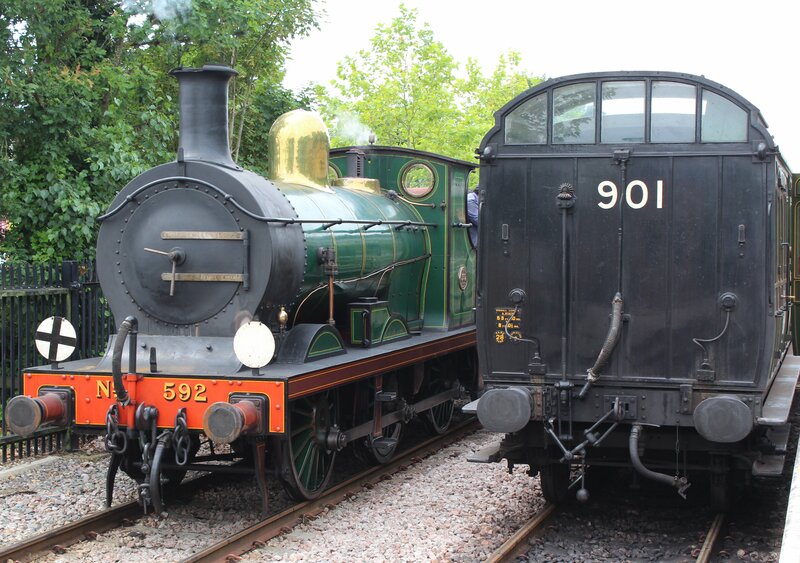 It is painted in Maunsell green and carries it’s Southern number 3363. The above carriage is distantly related to the Devon Belle Pullman observation car featured previously on locoyard (click here for more). This is London & North Western Railway (LNWR) Observation Car 1503. 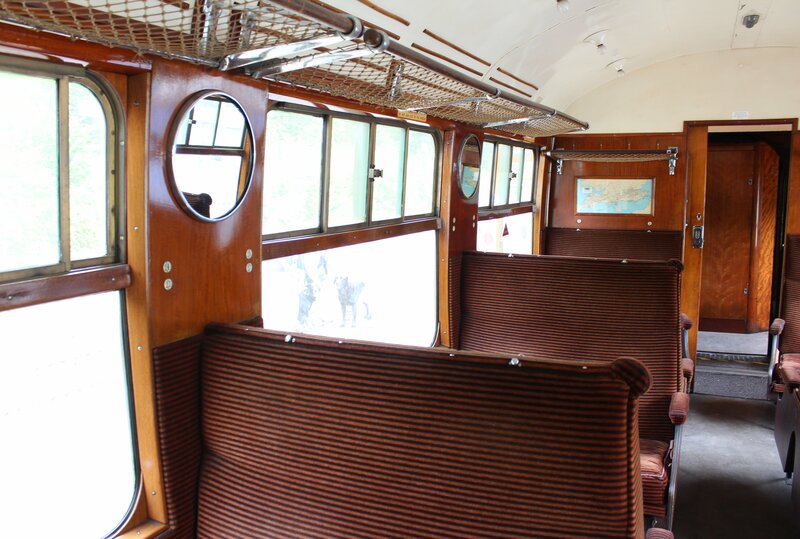 Another distinctive carriage is pictured above – Great Northern Railway Directors’ Saloon 706. Fancy a model of this? Check out the Bluebell Model Railways (click here). Finally for this blog post we have Stove R (Luggage Brake Van) 32975, a product of the LMS, pictured here in Pullman colours. 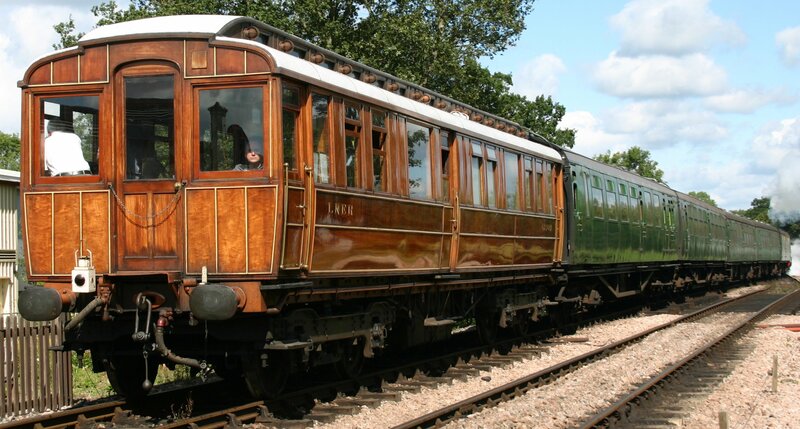 Hopefully this blog post gives a nice overview of some incredible carriages to be found on the Bluebell Railway. It is by no means a comprehensive coverage – there are many more vehicles of note, that I’ll be on the lookout for when next visiting! Thanks Dan, that’s very much appreciated. 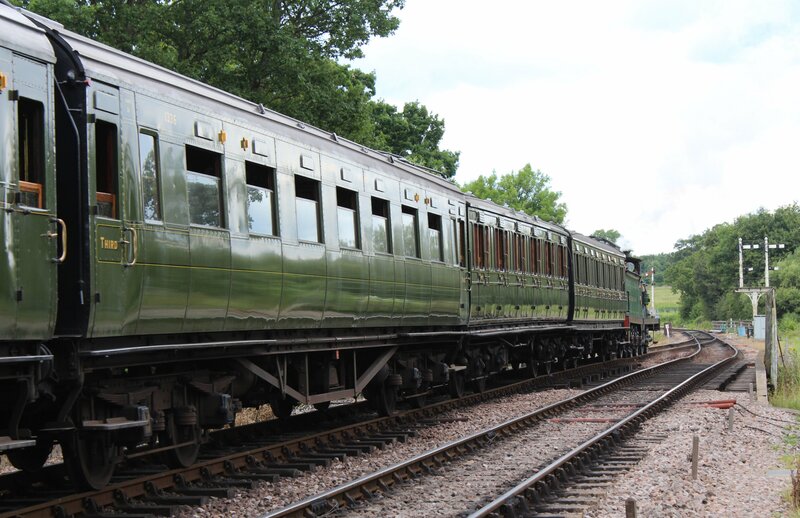 Excellent blog on the coaching stock on Bluebell Railway. 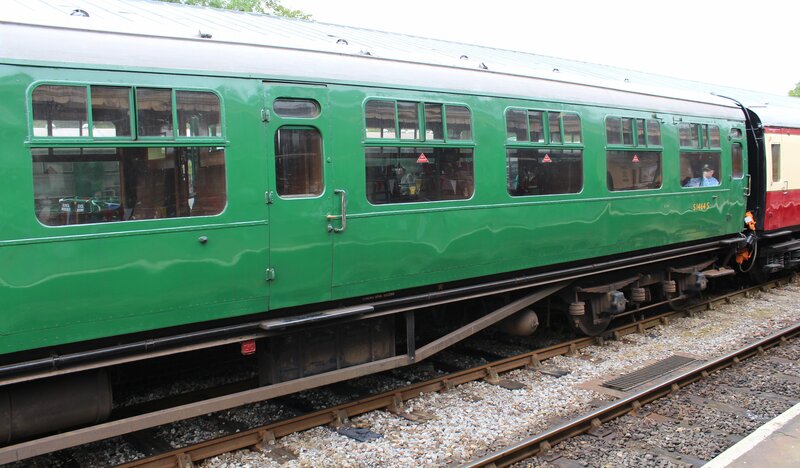 On my recent visit I did notice how good the trains looked as the carriage sets matched, unlike some railways where, as a matter of availability, the sets are just a random selection of coaches.